Campaigners calling for urgent action to help a seaside village threatened by accelerating coastal erosion have welcomed moves to speed up paperwork on a long-awaited sea defence scheme. And they have renewed calls for the Government to press ahead with funding the project before more homes are sent tumbling over the edge of the cliff. 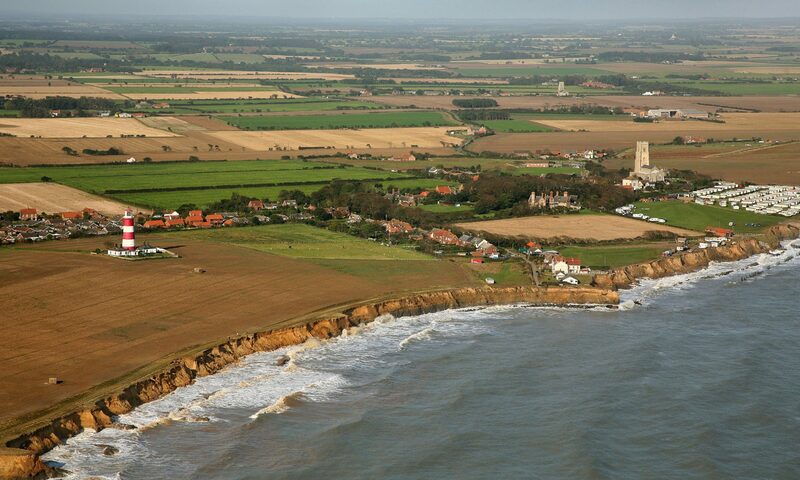 Villagers at Happisburgh and North Norfolk District Council officials, have spent years trying to get a major scheme to reinforce the cliffs. At a spot just to the east of the village the sea has cut a bay into the coastline and sent a string of chalets crashing on to the beach below. After failing to win funding – because the cost of projects far outweighed the value of the land to be saved – a smaller-scale solution has been suggested. It is stuck in the ministerial pipeline, awaiting a local inquiry to resolve objections lodged by lord of the manor Eric Couzens and environmentalist Prof Keith Clayton. However North Norfolk District Council has just submitted a planning application for a £700,000 scheme at Happisburgh, in an effort to get project paperwork done, ready for a quick start if the scheme is approved. a rock revetment between the two groynes. Coast protection engineer Brian Farrow said council staff were drawing up the plans, and seeking other official consents for the £708,000 scheme, so that “if and when the inquiry is in our favour we are ready to go”.